Whether house-hunting or selling property, a home inspection is a vital and valuable step to consider. In a buyer’s perspective, the inspection is a safety net- a realistic assessment of a property’s condition and evaluation of possible deficiencies. Although not its primary function, a home inspection report can be used for suggestions towards a re-negotiated purchase and sale agreement. Such re-negotiations may result in repairs assumed by the owner, a reduced selling price, or, where serious defects are discovered, revocation of the offer by the purchaser. In increasing numbers, buyers are having home inspections performed prior to purchasing a property. Buyers frequently seek that realistic, professional opinion of a third-party to confirm that their choice is sound; it’s either that or for the buyer to be aware of possible repairs that may be needed in the future. Although inspectors do not recommend whether a buyer should or shouldn’t make the purchase, their findings may carry considerable influence. Historically, inspections have been performed at the request of the homebuyer. But consider the dilemma of the seller. He (or she), too, has a lot riding on the transaction. Like a buyer, a sale that falls through can be disastrous for the seller. 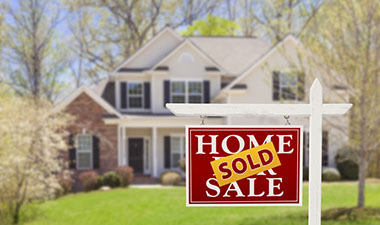 He (or she) may have purchased a new home, contingent upon the sale of the existing property. Without funds from the present sale, the new purchase would likely not go through. It’s sad to say, but, no one wins when a transaction doesn’t go forward. A home inspection report with negative findings may surprise the sellers as much as the buyer. The seller may genuinely believe the property to be in good shape. Unknown conditions, however – termites, for example – could alter that assessment. Homebuyers’ sales agents or lawyers generally recommend an inspection. In this case, what’s good for the buyer is also good for the seller. Because surprises are equally damaging to sellers of property, the seller should get a “pre-sale inspection”. While an inspection prepared for a seller will not be a substitute for a buyer’s inspection, it nevertheless serves a useful purpose — alerting the seller to potential conditions that could alter or delay a sale. People who live in a house get accustomed to the property and may not see conditions as shortfalls that a potential buyer might. For example, a 22-year-old furnace may still be working wonderfully. But statistically, it will need replacement within five years. That’s an outlay of $1,000-$2,500 that the buyer might not anticipate. A professional home inspector is trained to notice what most people are not trained to see. An inspector serves as a detective, looking for existing or potential problems. With no vested interest in the sale of the property, the objective, analytical report of the home inspector will enable the seller to determine what needs an improvement before putting up the “for sale” sign. Check Everything, Including the Kitchen Sink! An inspector will check the complete exterior of the house, including the chimney, surface condition of the roof, flashings, gutters and downspouts. He will check the exterior sill, foundation, and the grading of the lot to be sure it is pitched away from the house. The inspector will then enter the basement and view the mechanics, such as plumbing, heating, electrical and central cooling system. He will check the sill, foundation, floor joists, main carrying beams and supporting members. The inspector will also check for wood-boring infestations and water penetration, past or present. He will check the kitchen and condition of appliances. All doors, ceilings and floors in interior rooms will be checked. An inspection will also check the ventilation and insulation in the attic, which provides a better idea of the exact condition of the roof. Here at Tiger, documentation for the home inspection are provided on the same day. Our terms and agreement page along with the NPMA-33 wood-destroying insect form is given during the inspection while the rest of the computerized-report (approximately 30 pages or more) is sent via email later that same day. A thorough home inspection takes between two and three hours. It is recommended to accompany the inspector during the complete inspection. Home inspections generally have a wide range when it comes down to pricing. The best source for finding a competent home inspector is the recommendation of someone who has used a firm’s services in the past. In determining if this firm is the right one for you, ask about their level of experience–how many inspections the company has performed, how many they do annually, and what kind of training their inspectors receive. Also, it is recommended to determine if the inspector you choose should belong to a national organization that requires compliance to a code of ethics. As a prospective seller, an neutral, realistic evaluation of your property’s condition will be of great assistance when placing it on the market. Knowing what objections, if any, are likely to be raised in advance will help you deal with them in a way that keeps the sale moving along smoothly.